CPU-Z gathers and displays information on some of the main components of the machine, including CPU, motherboard, memory, GPU and operating system. How to extract: Download the ZIP package and extract to a folder of your choice. 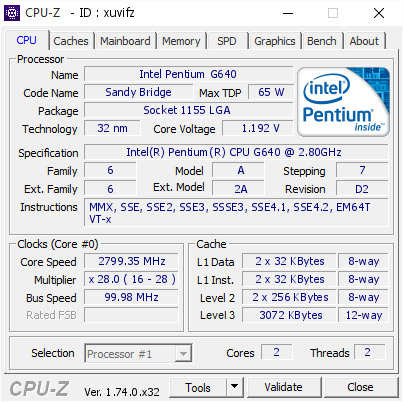 Launch cpuz_x32.exe or cpuz_x64.exe (for 64-bit OS). Intel 9400F, 9600KF, 9700KF, 9900KF and 9th gen R0 stepping. useless. to most of us, PORTABLE requires us to be able to run as NON-ADMIN. can't use this. can't install it. not truly portable. don't get me wrong, I use it all the time on my cluster at home, just can't use this at work or on common machines at school. "The kernel mode driver used by CPU-Z is installed on the system, that avoids to install / remove it at every run." The portable version leaves no driver behind, just tested it. CPUZ is old, tired and practically useless. It's heyday was about six years ago. Speccy is a must for today. How to extract: Download the ZIP package and extract to a folder of your choice. Launch HWMonitor_x32.exe or HWMonitor_x64.exe. Just checked. The .zip files currently available for download from the CPUID website are not empty now. I use this regularly. Quite useful. 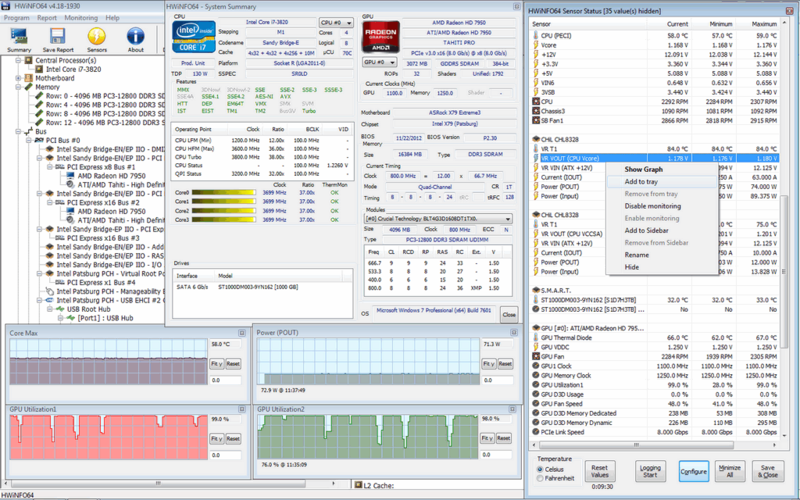 Core Temp is a small footprint yet powerful program to monitor processor temperature and other vital system information. 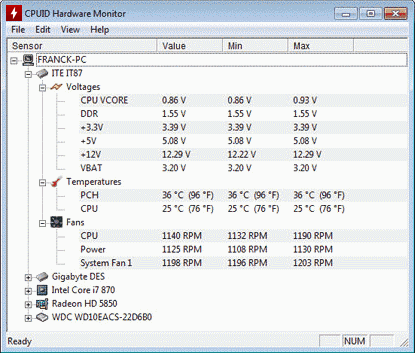 The program can track temperatures on individual processor cores, useful for advanced diagnostics or checking that cooling tools are functioning properly. How to extract: Download the "standalone version" ZIP package (32 or 64-bit) and extract to a folder of your choice. Launch Core Temp.exe. Add support for 2nd generation Threadripper processors, Socket FP5. Incorrect readings on Ryzen processors. There's a "More downloads..." link on the developer's Website. "How to extract" mentions that, but nunz failed to RTFT. Baas: no prob, thanks for direct-linking the 32 and 64-bit versions. Adding a notice about the adware version. In spite of the adware issues, I think this is the easiest-to-use and to setup CPU temperature application. It's on all my PCs and I've never had a problem with it. Just set it and forget it. The digital temperature display in the system tray is very visible and useful when resource-heavy apps are running. I'm surprised this isn't rated higher.